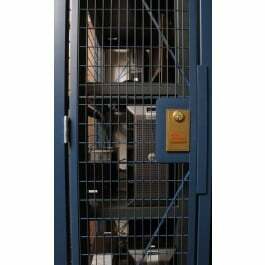 Data Center Server Segregation for network server equipment that requires access control is made easy with secure server cages. 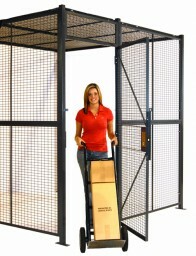 Segregate and lock specfic equipment for access control & facility security purposes. Get special prices on full design, build and installation to your specs. Shall be constructed of the same materials as the panels with two 1/4" x 3/4" horizontal stiffeners across the width, and two vertical 1/4" x 3/4" stiffeners from center to top or bottom. Sliding doors shall be equipped with two 4 wheel trolley trucks, 1 7/8" x 2 3/8"door track, pad lock lugs (cylinder lock optional), and door keeper assembly. Non-plated parts receive one coat of gray acrylic enamel. Touch up paint included with each shipment. Optional powder coat & custom colors available. 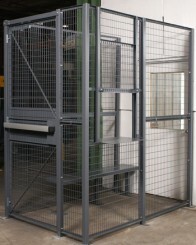 Twenty standard sized server cage panels 4'-0" or 5'-0" high, by 1'-0" to 10'-0" wide. 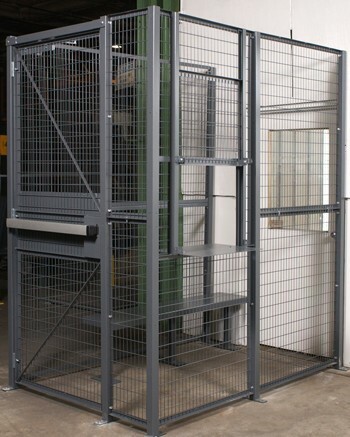 Stack two or more cage panels between posts to reach wall height. 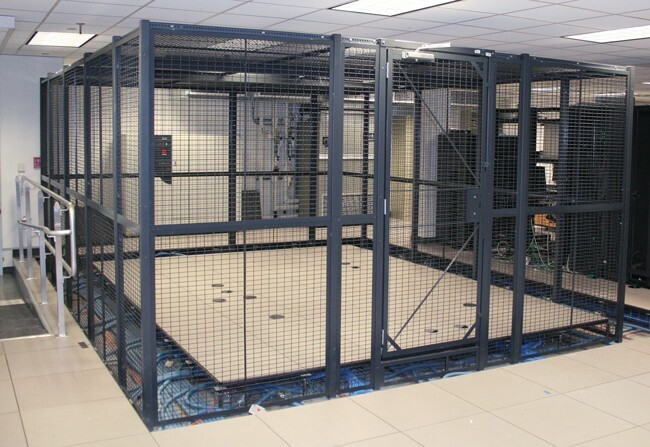 Protect servers in data centers, colation facility and server hosting facilities with secure server cages and rack enclosures.